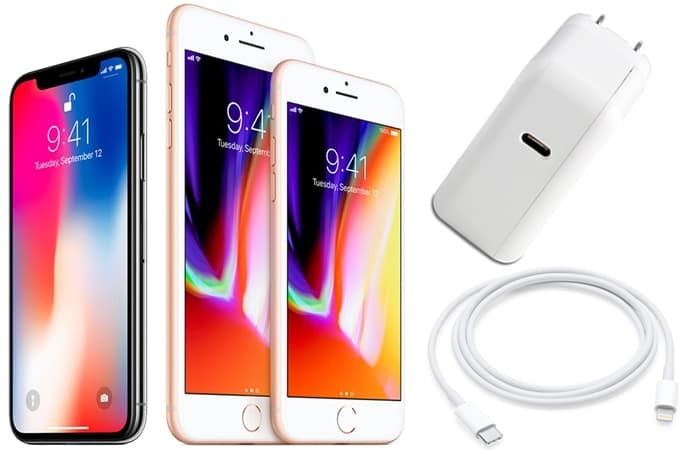 Packed with unique features, efficient hardware, and aesthetically appealing design – the new addition to Apple’s lineup is the most sought-after gadget this year for those who can splurge $1,000 (and more) on a smartphone. Yes, we are talking about the iPhone X that was launched earlier this week and expected to hit the stores in the first week of November. While some Apple fans are contemplating whether to buy the high-end gadget or not, there are many who have even started looking for accessories to enhance their experience with the new iPhone. If you are also one of those who are looking forward to buying the new phone by the Apple Company, then you should definitely check out our list of the best iPhone X accessories to make the best of your new device. The launch of Apple Watch series 3 went a bit unnoticed alongside the excitement created by iPhone X – however, the new watch is a great device which although carries the same look as it’s ancestor; it does have some new features that makes it stand out from the rest. One of the latest feature installed in the new Apple Watch is the LTE which allows users to make calls directly from the watch itself. 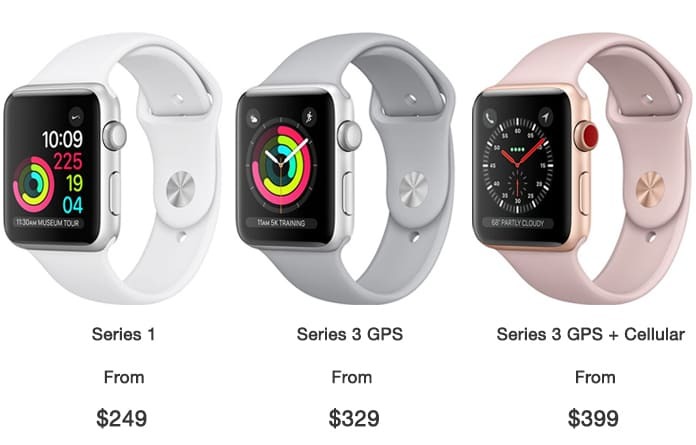 Apart from this, the Series 3 Watch is equipped with GPS, Accelerometer, heart rate sensor, Altimeter, activity tracker, and gyroscope and of course, Bluetooth and Wi-Fi connectivity. The Apple Watch is water resistant up to 50 meters and runs on watchOS 4. The new iPhone X comes in limited color choice – yes, only black and silver. There is no rose gold, no jet black, and definitely no shade of red. 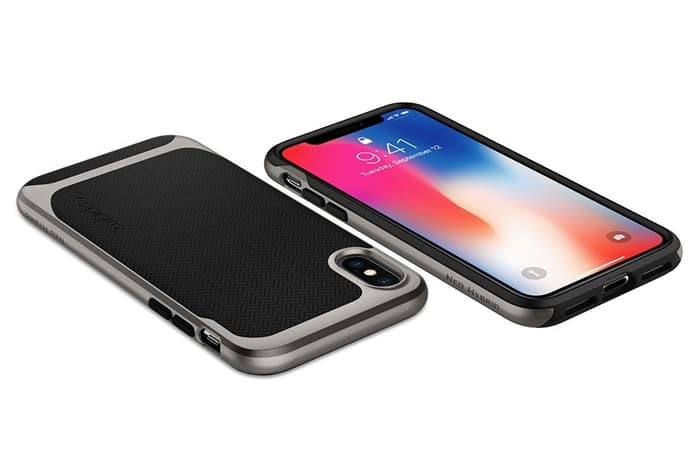 However, you can fulfil your wishes of having a different color and design sporting your iPhone X by opting for the many leather cases available at the official webstore of Apple. 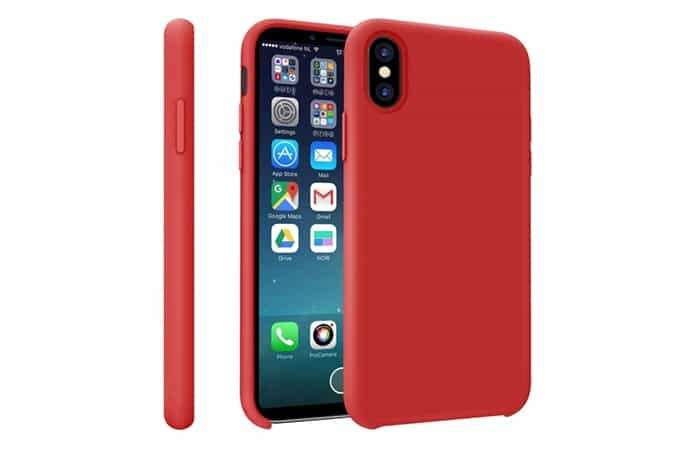 Choose your case from a variety of options – leather case, silicone, rubber cases, TPU, hard casing and even fabric ones are available in many different colors. For designs, the options include flip covers, folio covers, back covers, battery cases and lots more. 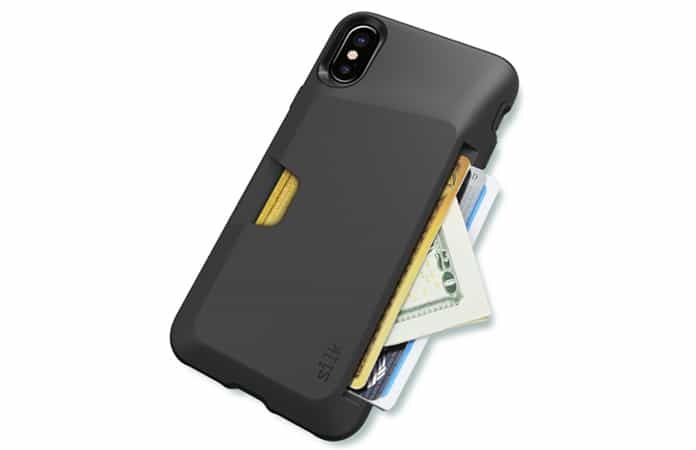 As the name suggests the Silk iPhone X Wallet Case doubles up as a wallet that can fit at least three credit cards. The case also provides maximum protection to your new phone with textured sides for added grip and “air pocket corners”. A free skin protector film is also included in the package. The screen is one of the most fragile part of the smartphone and repairing/replacing is likely to be as costly as purchasing a new phone. This is why Apple consumers opt for a foul proof screen protector that not only protects the screen in case of falls but also prevents scratches, excessive fingerprinting, oil stains, and smudges. 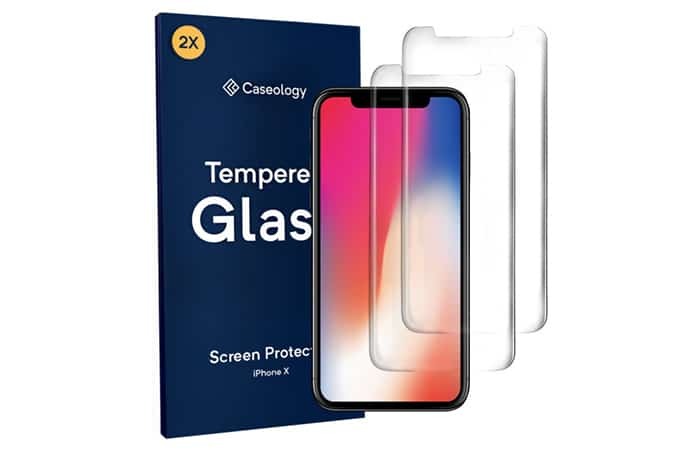 The Caseology iPhone X Screen Protector is one of the best in the market to enhance the protection of your new phone without compromising on its original response sensitivity. The screen protector by Caseology measures just 0.33 inches in thickness and comes with an anti-shatter film that makes sure the fragments of the tempered glass sticks together in case it does break. Spigen is a renowned brand for smartphone skins and the company, being very responsive to the consumer’s needs has already started taking orders for iPhone X skins that are made out of authentic 3M vinyl. And of course, the options for colors, designs, and textures are endless allowing you to play to your heart content. For more information, visit the brand’s website. 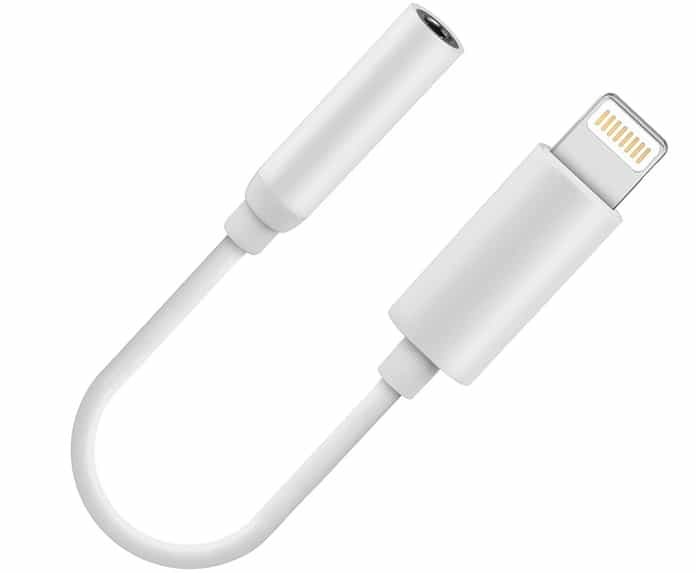 The MFI certified Apple accessory can be used to charge and sync any iPhone with a lightning connector. To use, simply prop the phone upright on the dock while the dock itself can be connected to a standard wall socket or a computer with a standard USB cable for charging. Users can also sync between two devices when connected via computer. The most interesting feature of the charging station is that you can actually listen to music even whilst the phone is on charging/syncing mode by connecting the phone to any standard headphones or speakers. If you want to use the new fast charging option on iPhone X, you need to use a USB-C Power Adapter and USB-C Charge Cable. You can charge your iPhone X up to 50% for 30 minutes. 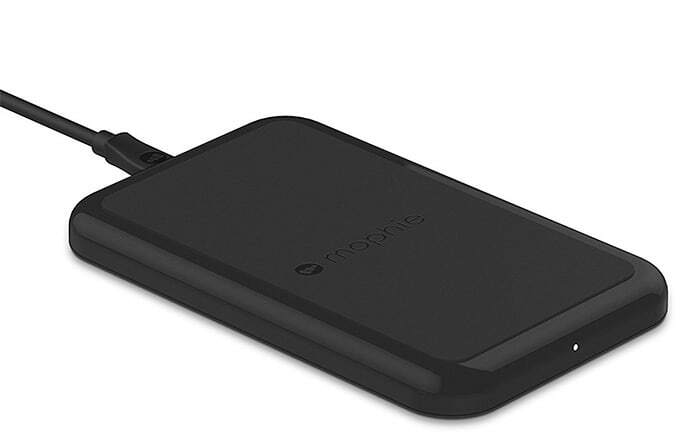 For those who are looking for an affordable wireless charging base, then Mophie’s Wireless Charger is the best choice. The Qi wireless charging base is compatible with not only iPhone X but also iPhone 8 and 8 Plus. The charging pad comes with a 360-degree non-slip TPU coating and housing to ensure that your expensive phone is protected from accidental falls and scratches. 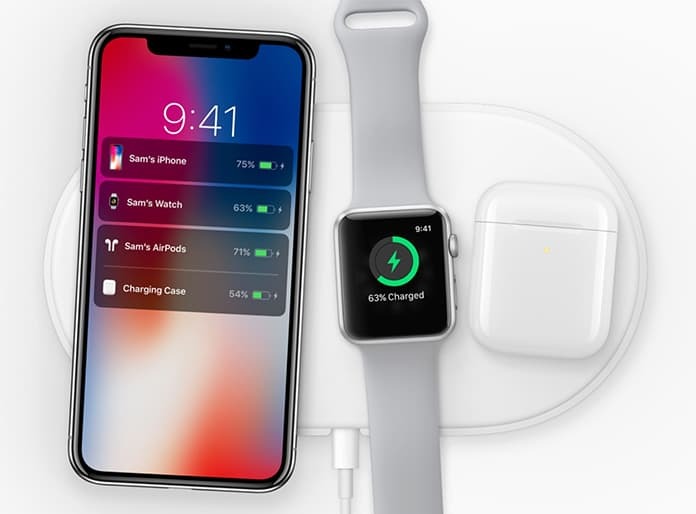 Just like the above charging pad, the latest addition to the Belkin lineup has the ability to charge the latest iPhone trio (model X, 8, and 8 Plus) while the 15 watts of power makes charging almost instant. 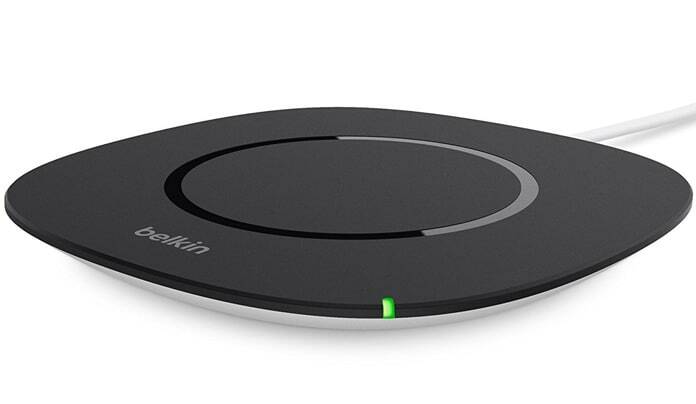 Belkin is a renowned name in the electronics industry and the company makes sure that their charging pads are equipped with all safety measures to protect your new phone from slipping. The Anker Power Core has an impressive power of 20100mAh while it offers high speed charging with a 4.8 amp output. However, the device weights quite opposite from the power it possesses and is just a bit over 12 oz. available in black and white color, the Anker Power Core comes with an 18-month warranty. One of the best-selling Apple accessories, the AirPods connects automatically to your iPhone, Apple Watch and MacBook as soon as you take them out of their charging case. Equipped with Apple’s W1 chip, the Air Pods have built-in sensors and motion accelerometer to detect when they are in your ears or not. In simple words, the AirPods automatically starts playing the song as soon as you put them on and pauses when you take them out. The famous Siri can also be activated if you want to modify the volume, make a call, or change track. 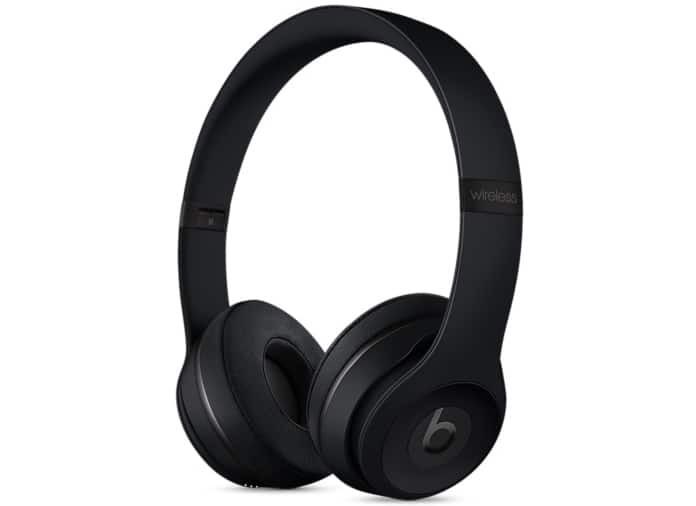 With a 40 hour battery life, great sound, and appealing design, the Beats Solo3 Wireless Headphones make an ideal companion for your new iPhone. 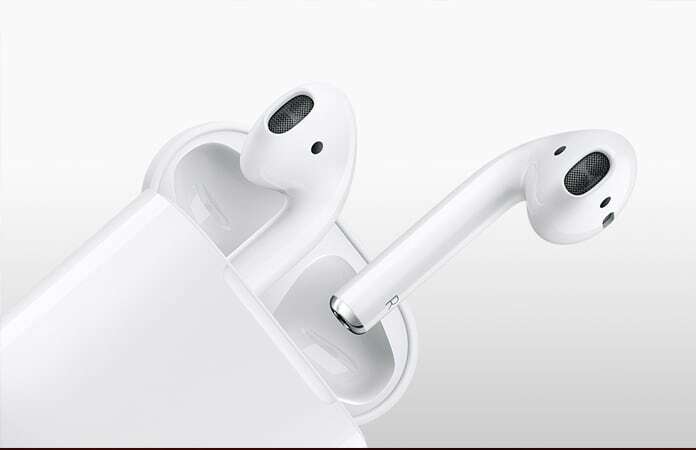 And although AirPods are doing a good job of delivering music to user’s ear – many audio lovers have complained about the sound quality in those devices. The price is a little steep, but for the quality – we believe it is worth it. For those who are not satisfied with the wireless headphones, the Audeze Sine is the ideal accessory for you. 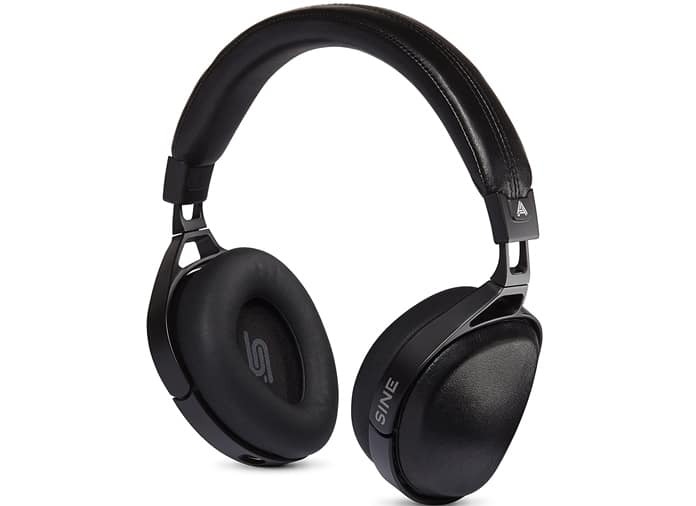 Equipped with a lightning cable, the device uses the “planar magnetic technology” to produce a deep bass and better transients than most other headphones. 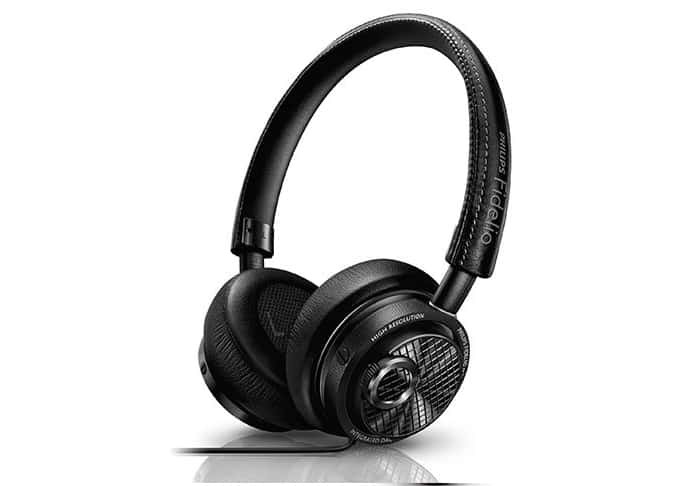 If the Audeze Sine is too expensive for your budget, opt for the Phillips Fidelio M2L/27 which has similar features to the one mentioned above. Good sound quality, integrated DAC and amplifier, and a frequency range from 7 Hz to 20 kHz – the device is easy to carry with an appealing design. 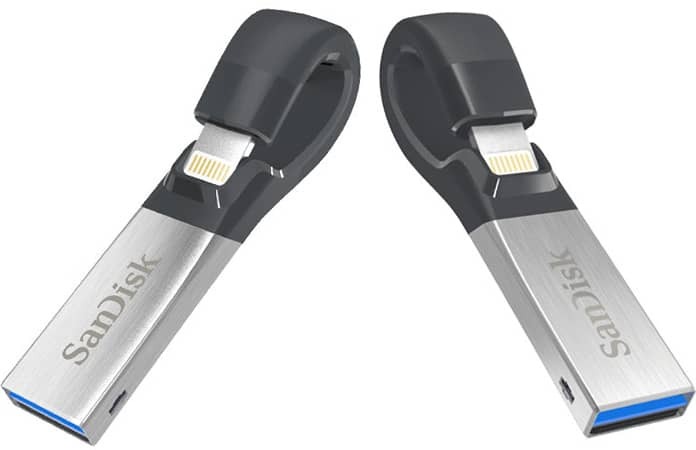 As the name suggests, the SanDisk iXpand is used to increased storage of your Apple device. The device is compliant with the USB 3.0 standard and comes with file protection software that allows the user to set a password on their private files, preventing authorized access. The flash drive is easy to use – simply plug and play to transfer music, movies, and photographs from your phone to computer. You can even listen to music or watch videos directly from the drive itself which means you don’t need to transfer them to your phone. The drive is available in 32GB, 64GB, 128GB, and 256GB. 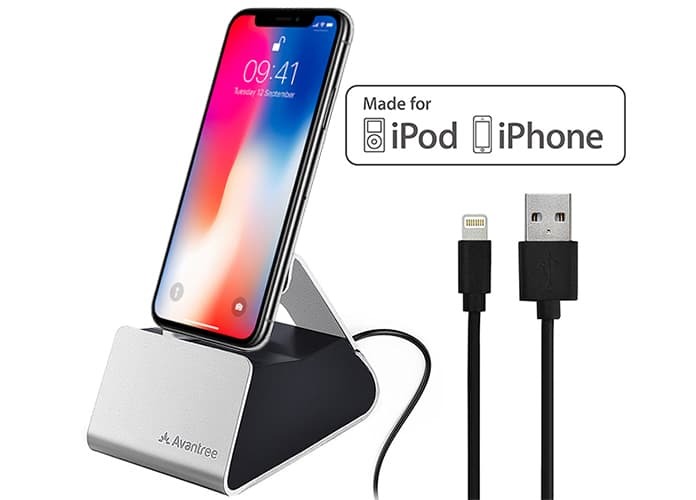 Although the Apple phones do come with a 3.5 mm lightning adapter, the Richenda version is your best choice in case you happen to lose the original Apple device or need multiple for some reason. The device connects your 3.5 mm headphones with the latest iPhone and is a lot cheaper than the original Apple adapter. 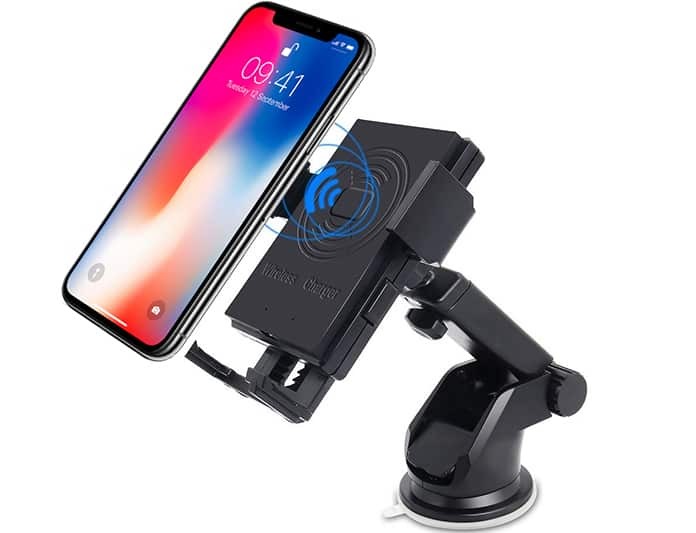 The dual function car mount comes with an air vent mount and a suction mount, with a 360-degree rotating ball joining on both mounts that enable flexible viewing angles while driving. The sturdy rubber base has a solid grip and ensures that no slipups occur. 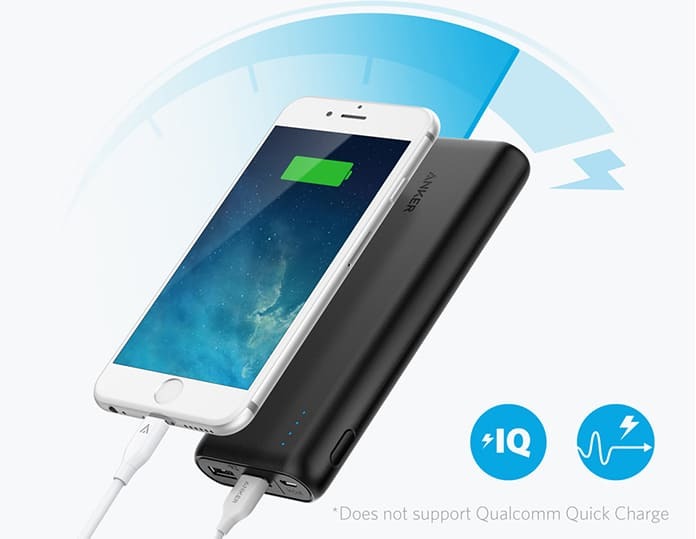 For charging, the device has a 5V / 2A input and a 5V / 1.5A output and, is compatible with a whole host of Q-enabled smartphones including, but not limited to, the iPhone X, iPhone 8 and iPhone 8 Plus. These were just some of the accessories that we think should be integrated with your new phone to enhance the experience. Let us know which one you will choose regardless if you buy the iPhone X or not!